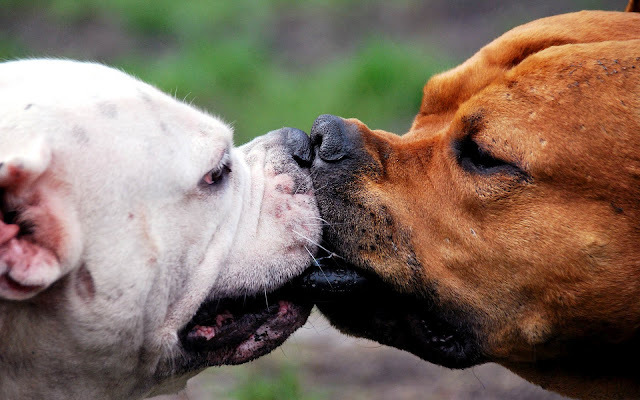 HD animal wallpaper with two dogs kissing, beautiful photo of two dogs with their noses against each other. Are they kissing or not? please give us your opinion.